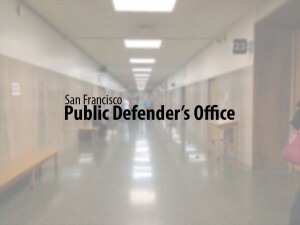 San Francisco, CA — A recycler accused of attacking the self-appointed sheriff of a SOMA alley was acquitted of all charges after a jury determined he acted in self-defense, San Francisco Public Defender Jeff Adachi announced today. Jurors deliberated 3½ hours before finding 51-year-old Albert Taylor not guilty Friday of two counts of assault with a deadly weapon, one count of simple battery, and one count of terrorist threats. If convicted of all charges, Taylor faced up to two years in jail, said his attorney, Deputy Public Defender Jack Lamar. Taylor’s Aug. 9 arrest stemmed from a longstanding feud with 52-year-old Rex Wallace over Taylor’s right to travel down Clementina Street near 8th Street. Taylor, a former massage therapist, click site for more details about it, beset by a back injury, collected bottles and cans in the area. Wallace, a homeless man who referred to himself as the street’s sheriff, had banned Taylor from the alley after arguing with him. Wallace, who testified he is a practitioner of Eskrima, the Filipino art of stick-fighting, picked up a 3-foot tree branch and struck Taylor, lacerating his ear. In response, an injured Taylor picked up a metal pallet and used it as a shield until it became too heavy, Taylor testified. He then removed a metal tripod from his recycling cart and swung it at Wallace. Wallace was not injured in the confrontation. Taylor was taken to the hospital for a CT scan after losing partial hearing. Wallace told police that Taylor tried to stab him with a piece of wood that splintered off the wooden pallet and threatened to kill him—accusations that were not supported by witnesses during the trial. Adachi applauded the jury’s verdict. “Mr. Taylor stood up to a bully who attacked him for traveling down a public street. Thankfully, he had a public defender who could tell his side of the story and a jury who carefully considered the evidence,” Adachi said.